My mom made an incredibly perfect pie. Nearly every single one ever … perfect. So, I thought for Mother’s Day, I would celebrate my mom’s pies. And, as I was writing this, it struck me. My mom didn’t even like pie. She’s not around to ask, but I’m suddenly very sure of this. I think she found pies old fashioned and uninteresting. I, on the other hand, loved pie. Fruit pies, and especially rhubarb and juneberry pies, were kitschy and old fashioned and I wanted to be the interesting girl who liked the quirky pies. My dad liked chocolate pie. No fancy chocolate pie, just the pudding-mix sort. This must have been incredibly insulting to my mom who would have happily melted exotic chocolates in a double boiler to create a delicious pie. 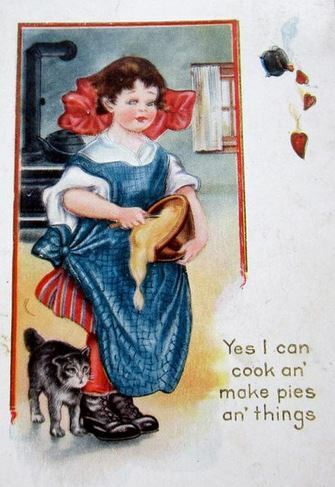 So, she made me quirky pies and she made him chocolate pudding-mix pies. But, now that I think about it, I never recall her ever eating a piece of pie, unless she was just being sociable, or to take a quick taste of what she had baked (and to ensure that she shouldn’t throw it out and start over). She was a nose-crinkler when something wasn’t quite right. And, I think I saw her take a small bite of pie from time to time and crinkle her nose the same way I do when the milk in the fridge doesn’t smell quite right. My mom may have disliked pie, but she made some of the best. 1) Pie-ing the hero of a baseball game is classy. The Baltimore Orioles have made the pie game an art. Last season, the Orioles even gave away tee-shirts honoring their pie-in-the-face fun. Eyes were burned with shaving cream pies. Catcher Steve Clevenger’s walk-off RBI double wins the game for the Orioles in the 10th against the Houston Astros on Saturday night. But, there are some players who, through their tenure and superstar status, are exempt from pie-ing. Orioles right fielder Nick Markakis is one of them. April 26 vs the KC Royals. 2) My mom taught me a lot, including how to make a pie crust. I’m not a particularly fast learner and it took her a few years before I got it right. My mother was not a patient teacher and I think she was, deep down, embarrassed that it took me so long to figure it out. The trick is cold vegetable shortening and ice cold water. My mother would dismissively nose-crinkle you if you miss the important nuance of the water. Tap water is not “ice cold.” Ice cold tells you right there in its name that you need ice in your water, got it? Here’s pretty much the pie crust recipe she taught me. You may now roll out your perfect dough and commence to making the pie of your choice. 3) This is Felix Pie. It is correctly pronounced “Pee-AY”, but I always called him Mr. Pie. 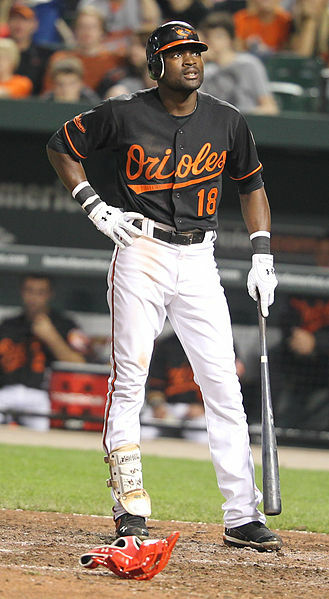 Felix Pie played for the Orioles, mainly in a utility role, from 2009 to 2011. He played for the Pirates last year, and seems to be playing for a South Korean team now. I can’t think of any other reason to mention him here, except that he will always be Mr. Pie to me. I can’t believe I just realized that my mom hated pie. But, she made them anyway because I liked them. I miss those pies. Thanks, mom. 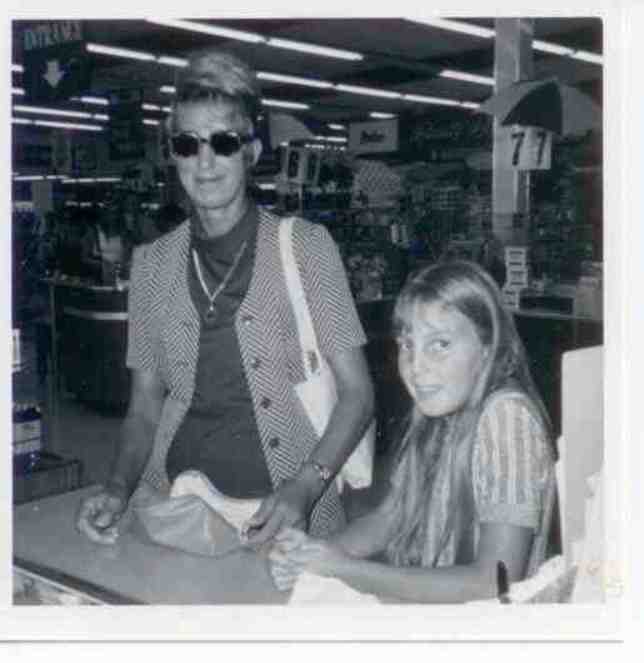 This entry was posted in Baltimore Orioles, Baseball, Life, Mom & Dad and tagged Mother's Day, Nick Markakis, Steve Clevenger by Jackie, The Baseball Bloggess. Bookmark the permalink. Soon – so very soon – strawberry/rhubarb…yum!!!! What’s a kitchen without that can of Crisco! Raspberry is to die for. After I posted this, one of my clients came in and poo-poo’d the vegetable shortening. “I would NEVER use that!” Upon further questioning, she admitted she can’t make a crust and uses store-bought frozen shells. My client, a vegetarian, didn’t know that in lieu of Crisco, a few frozen shells use palm oil, but most use lard. The lesson learned — don’t question my mother’s baking decisions, she was always right!